Sadly, another 4 year Olympic cycle has come to an end as the Rio 2016 Olympics ended this week. 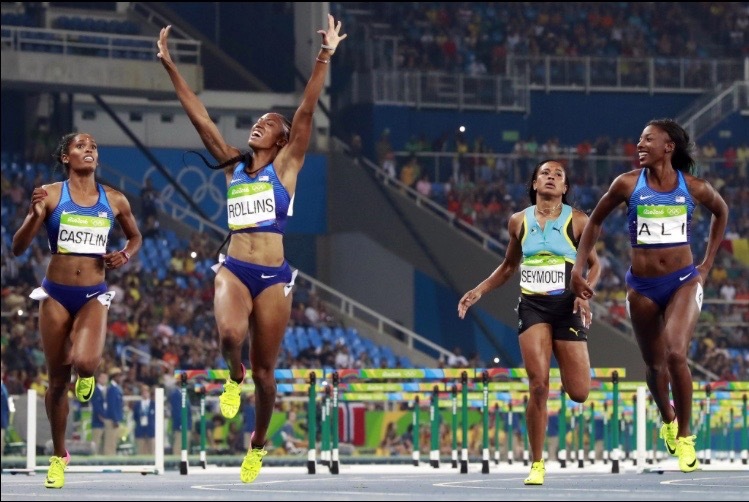 Throughout the athletics programme there were ups and downs with new champions being crowned, previous champions retaining their titles and others passing on their titles to new faces. All of this has been highly documented and publicised with all of these incredible events being captured through some amazing, defining pictures. 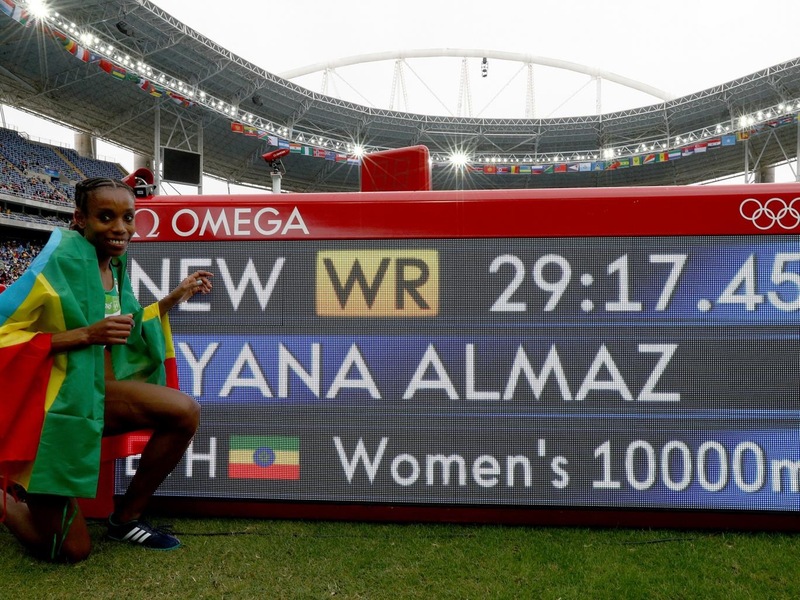 Two of the most incredible performances of the games came from Almaz Ayana and Wayde Van Nierkek; both of whom broke the world record in their respective events of the 10,000m and 400m. 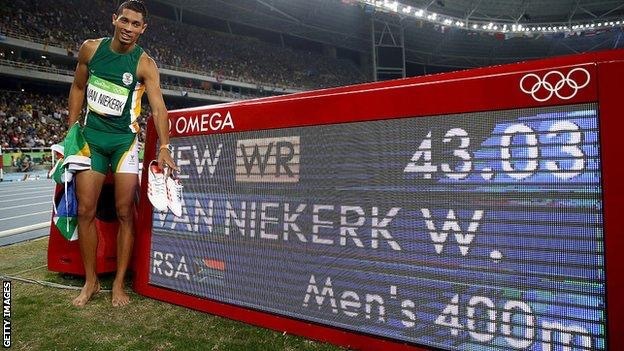 Van Niekerk took 0.15 seconds off the long standing 400m WR. 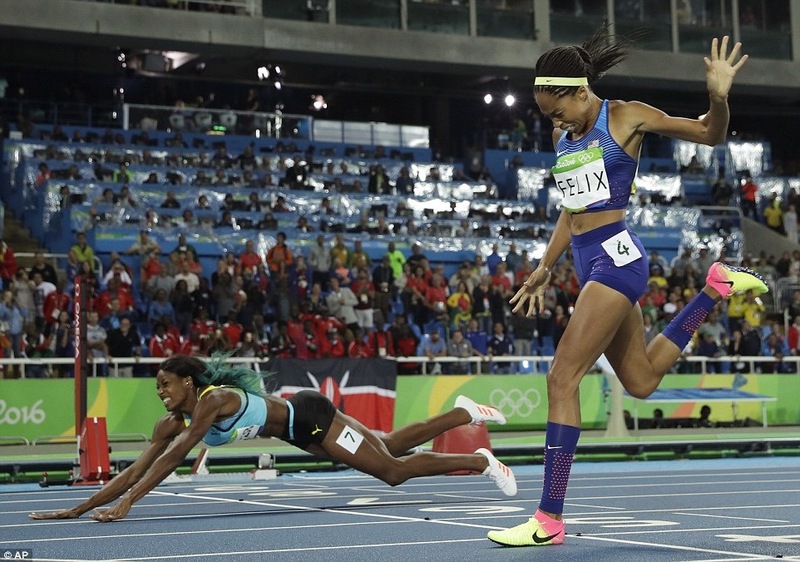 Allyson Felix was one of the most certain athletes to continue their greatness but just missed out to a dramatic dive for the line from eventual winner Shaunae Miller. 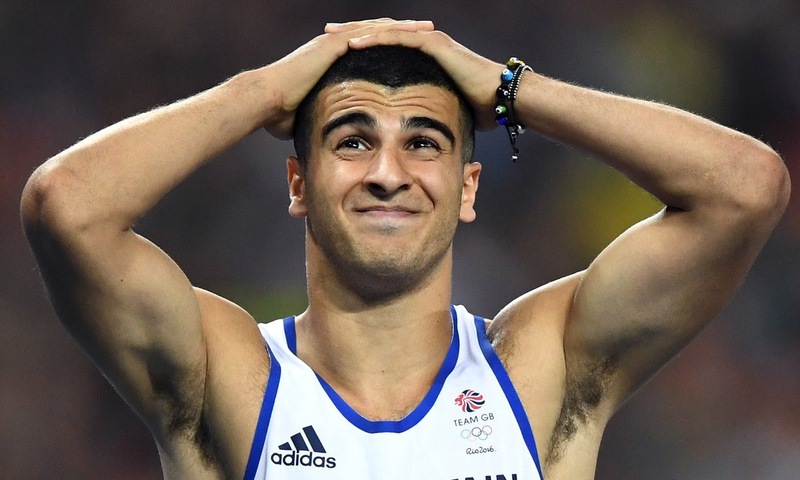 Britain went into the games with a very strong group of sprinters on the male side but failed to return with any medals. Adam Gemini just missed out on a medal. 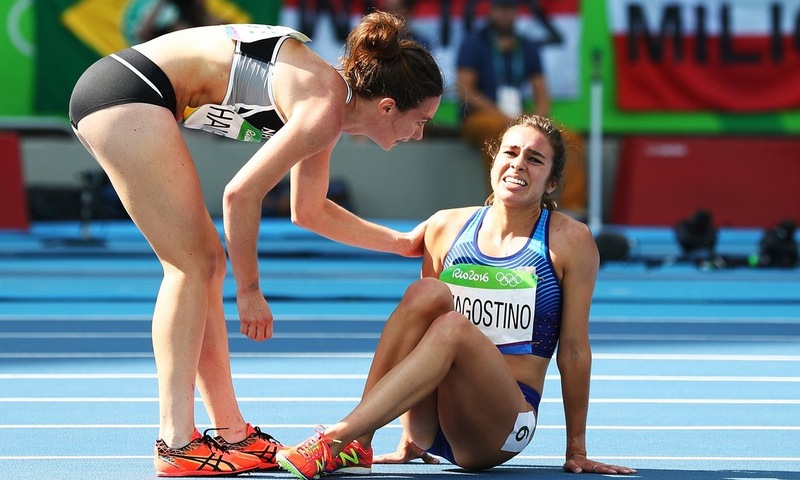 The award for the most sporting moment of the games went to Abbey D’agostina and Nikki Hamblin who helped up the American D’agostina after a fall in the women’s 5000m heats. Heartbreak for D’agostina as she falls out of the Olympics. 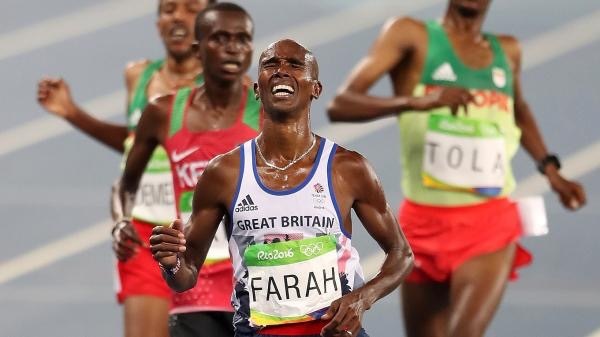 Men’s marathon silver medalist Feyisa Lilesa has had to remain in Brazil after he fears for his safety having protested against his country as he finished the marathon. 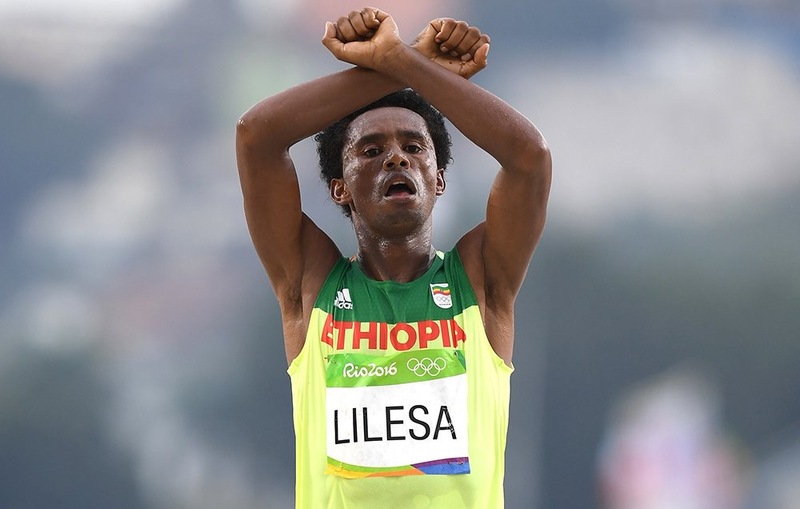 Lilesa protests as he finishes the marathon. 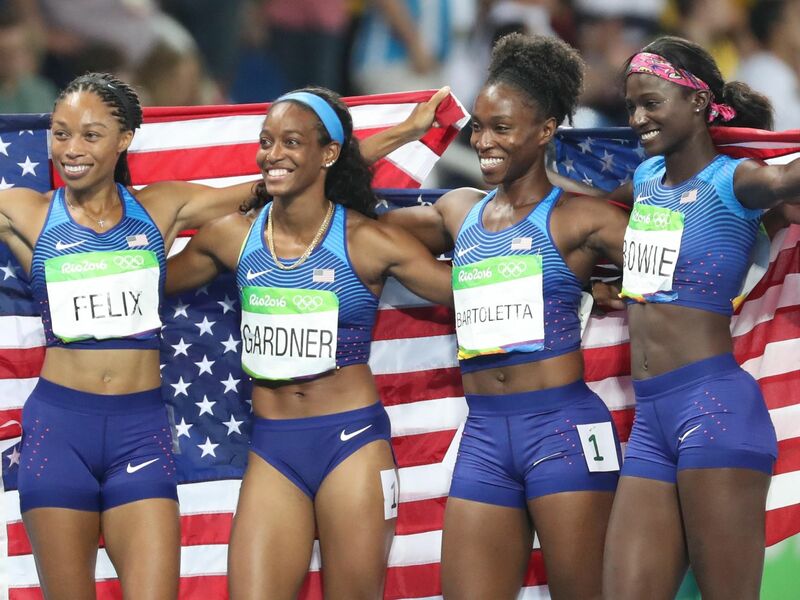 The USA showed their strength in the relays and the hurdles as they look a clean sweep of medals without world record holder Keni Harrison. 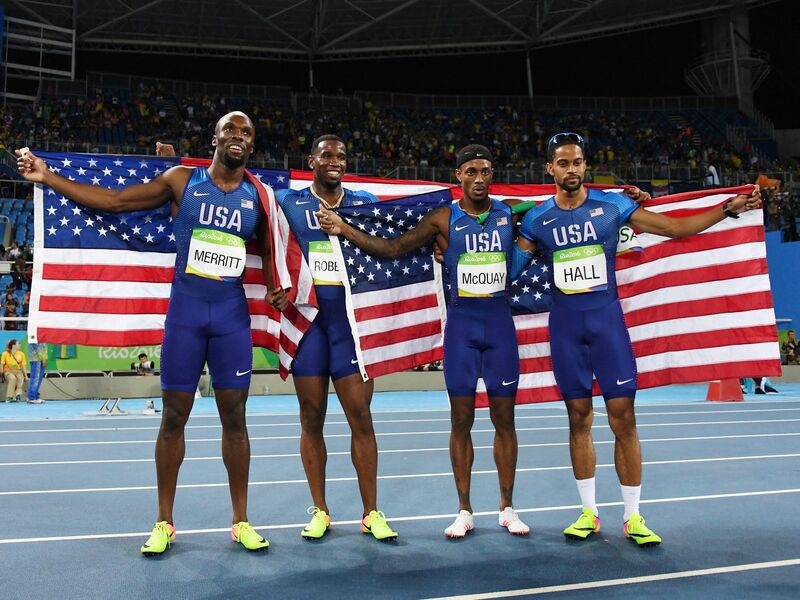 Many tried but only a few prevailed in becoming multiple Olympic champions and retaining the Olympic title. 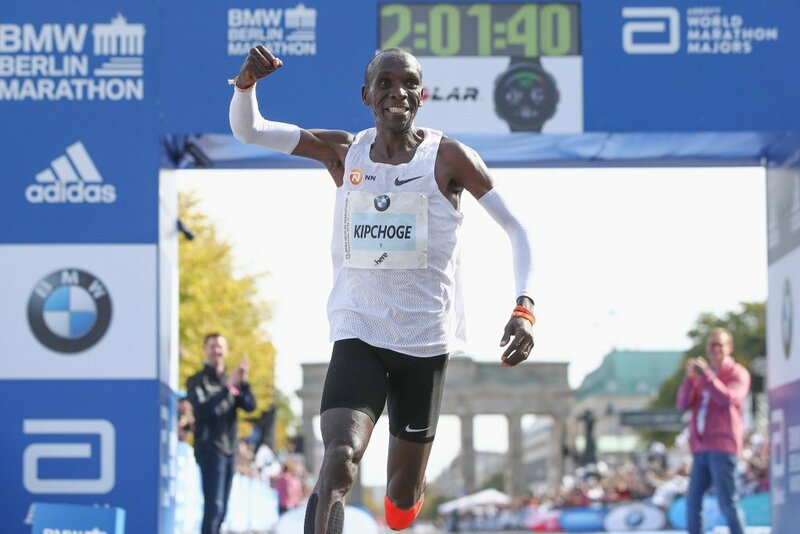 Most prolific of which was that of Usain Bolt who managed to complete the ‘triple-triple’ with Mo Farah not far behind gaining the ‘double-double’ over the strong African and America contingents. 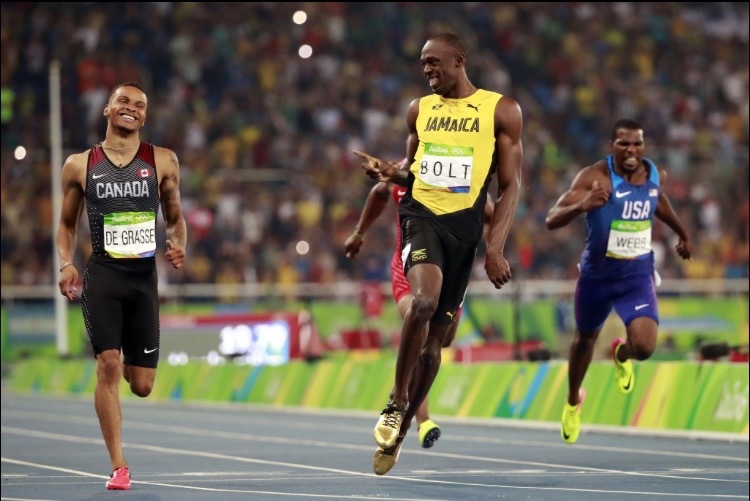 These two were not the only ones to be successful in regaining their Olympic titles. 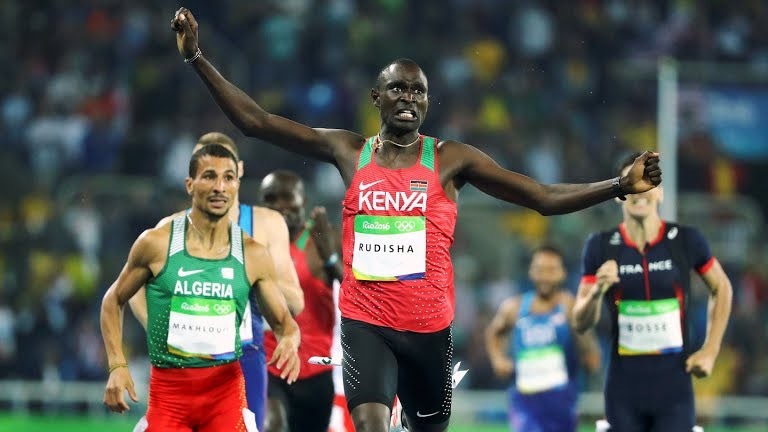 The much anticipated men’s 800m final didn’t disappoint with David Rudisha looking back near his best to win his second Olympic title. 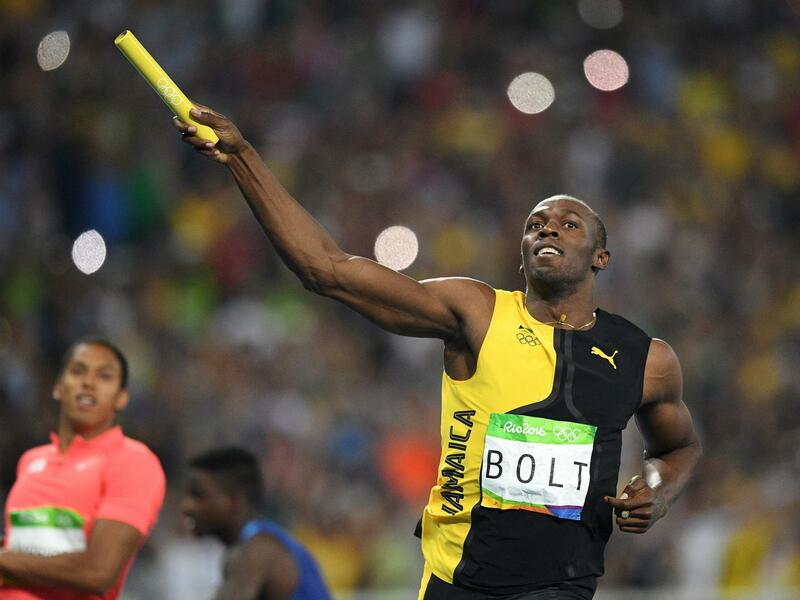 Usain Bolt is famous for his relaxed attitude but no one expected him to find even the semi-final runs to be one with such ease. 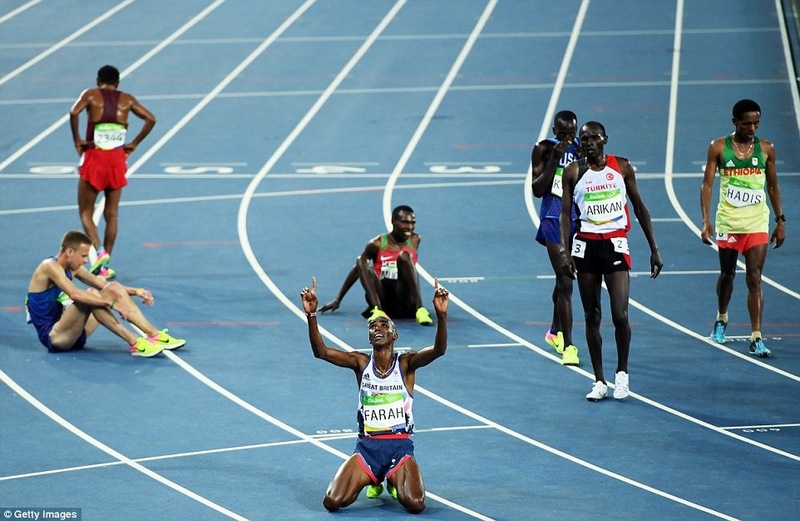 Finally, the men’s 1500m final was one of my personal highlights. 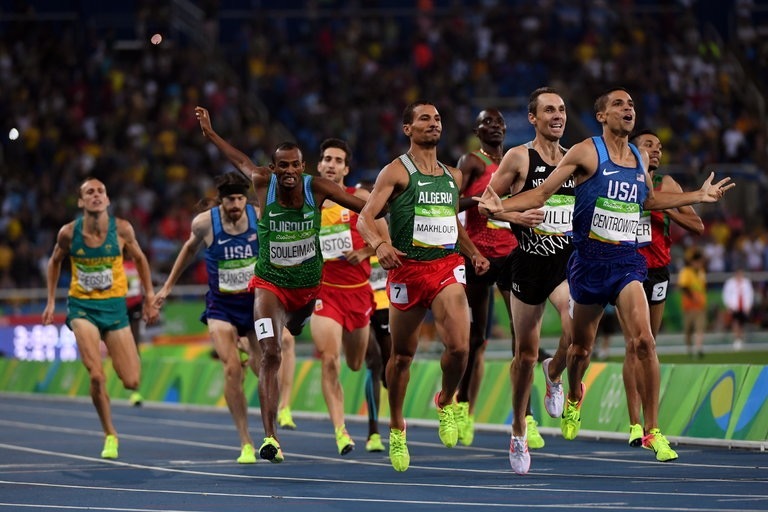 Matt Centrowitz ran from the front: gun to tape. 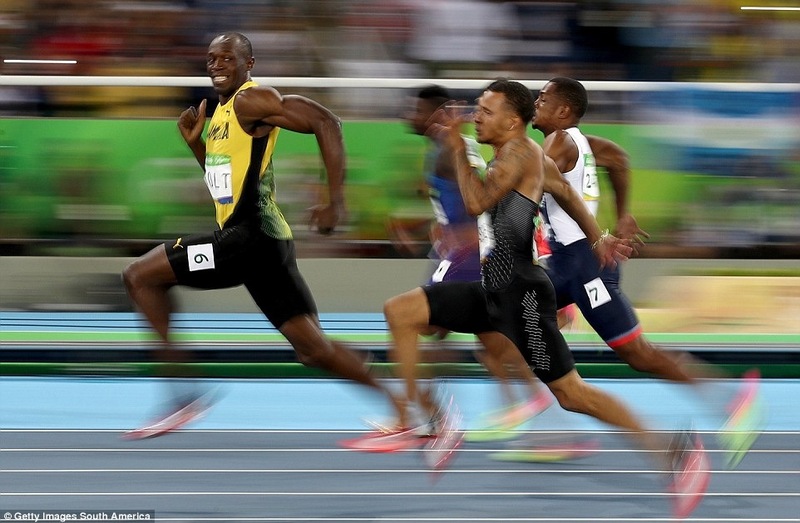 Running a 50.64 final 400m for gold, he showed that he is the master of all tacticians.